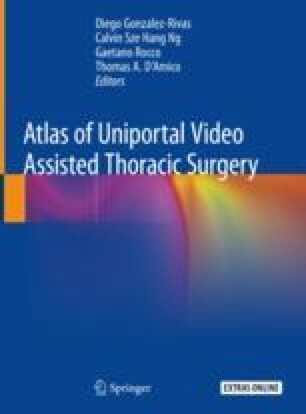 Video-assisted thoracic surgery is increasingly being performed by many groups as surgical management for non-small cell lung cancer, only if it is technically possible. The role of this approach is unclear when you perform the lymphadenectomy . On the other hand the number of lymph nodes, stations sampled and lymph node ratio have a direct relationship with a correct pathologic staging, and thus with the prognosis. The online version of this chapter ( https://doi.org/10.1007/978-981-13-2604-2_28) contains supplementary material, which is available to authorized users.